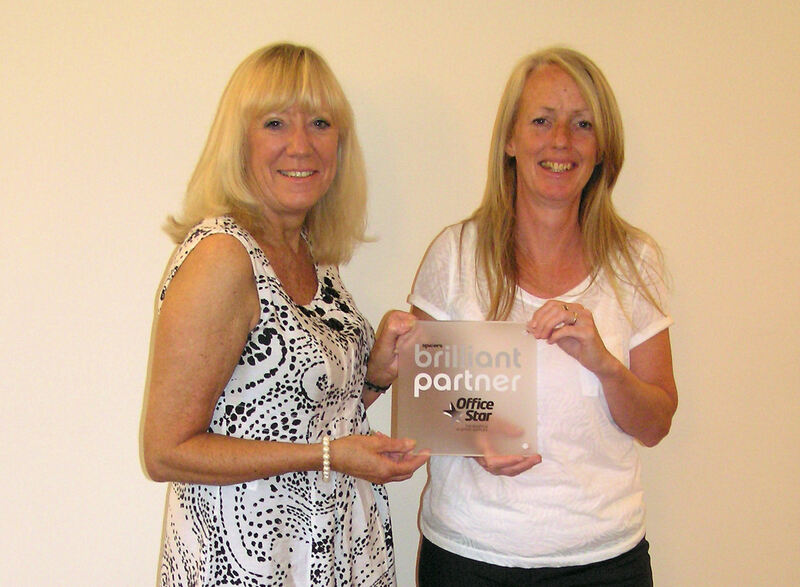 After having a few days off in sunny Devon (which isnt a million miles from the always sunny Forest of Dean), I was chuffed to get back to work and discover that we were to be awarded the prestigious Spicers Brilliant Partner Award. Now for a brief moment, I thought my husband had turned over a new leaf and instead of giving me a bunch of flowers, he was awarding me with a Brilliant Partner Award – but this wasnt the case. This award is given by the leading UK Office Supplies wholesaler – Spicers and is to recognise and reward commitment within the Office Supplies and Stationery dealer sector and to differentiate this select group of dealers from others within the wholesale supply chain. Another string to our bow and one that will benefit our customers and will enable us to offer an even better service both locally and on a national basis. So not wanting to blow our own trumpet (but I will anyway), “Well Done Office Star” ! You can leave comments by clicking here, leave a trackback at http://news.officestar-group.co.uk/index.php/brilliant-partner-award-for-office-star-supplies-gloucester/trackback/ or subscibe to the RSS Comments Feed for this post.